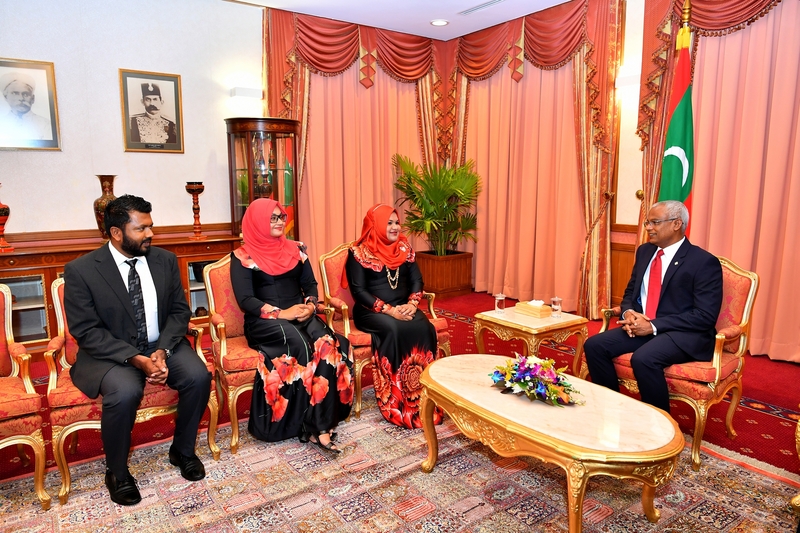 President Ibrahim Mohamed Solih has appointed 3 new full time members to the Employment Tribunal, in accordance with article 89 of the Employment Act (Law No. 2/2008). Uza. Aminath Abdulla Zuhair completed her Masters of Laws (LLM Employment Law) at the Kingston University, London. She had previously been working at the National Pay Commission as a legal consultant. Uza. Fathimath Maheera Mohamed completed her Bachelor of Law (LLB Law, Shariah & Law) at the Maldives National University. She has since then amassed several years’ worth of expertise in the legal sector. Uz. Mifraz Nizar completed his Masters in Business and Law, specializing in employment and human resources. He had previously worked in the Prosecutor General’s Office as an Assistant Public Prosecutor, and as a Legal Assistant at the Maldives’ Supreme Court. The President presented all 3 new members with their letters of appointment at a special ceremony held today at the President’s Office. Prior to the appointment ceremony, the 3 had taken their oaths relevant to their new office in front of the Chief Judge of the Criminal Court, Uz. Ahmed Hailam. Uza. Aminath Abdulla Zuhair has also been appointed as the Vice President of the Employment Tribunal.